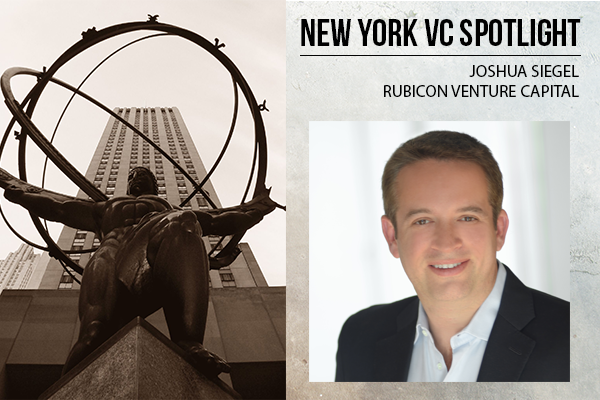 Joshua Siegel is a General Partner at Rubicon Venture Capital, a venture capital fund backed by a unique global community of entrepreneurs, angels, corporates and institutional investors: each time the fund invests in a company, the investors may choose to allocate additional personal funds to the opportunity, if they believe that they can add real value to the company. For investors this means unique access to difficult-to-get-into deals, more control and better returns. For founders, this means direct access to successful entrepreneurs-turned-investors, as well as to large corporations and institutions that can support their business, from seed through IPO. Siegel himself has experience in technology, real estate, digital media and consumer products, and oversees the day-to-day activities of Rubicon. He is involved in the evaluation of early stage tech companies, as well as in assisting current companies with development. Before joining Rubicon, Siegel was an early stage strategic advisor for startups and real estate concerns. He also was a board member of The Founders Club and CEO of Professional Connection Resources. He received his schooling at Boston University, earning a BA in Economics and Business Administration, before attending Georgetown University and graduating with an MBA in Business Finance and Entrepreneurship.